Give your brand an "extra-large" profile with the BIC (R) Brite Liner (R) Grip XL highlighter! 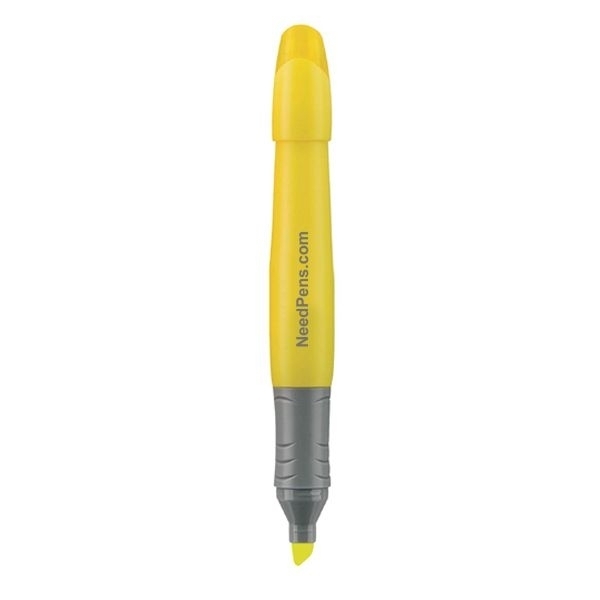 This marker features a textured gray rubber grip for comfort and control, a chisel tip for broad highlighting and fine underlining. 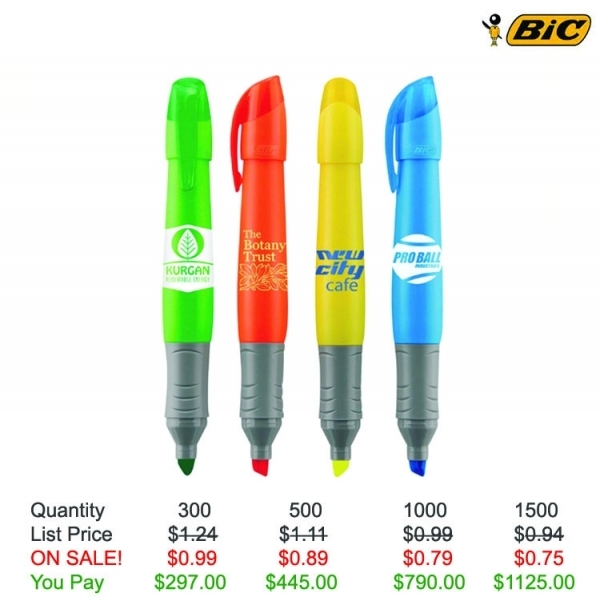 They'll love the brighter, extra-large barrel and ink colors. The ink color matches the highlighter color. 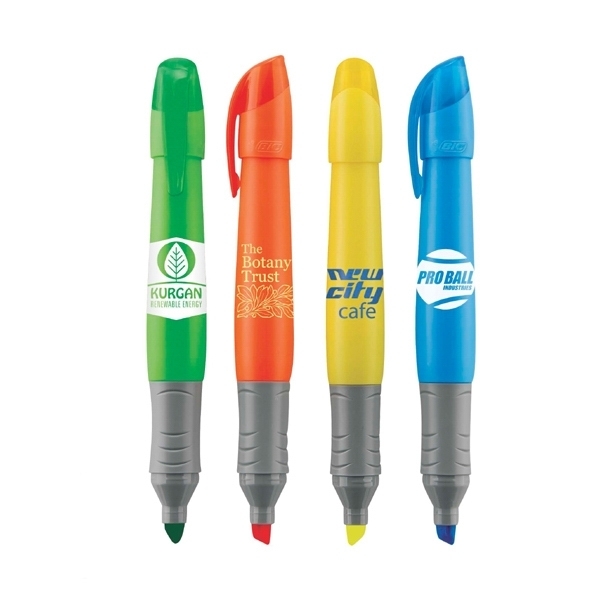 This AP non-toxic marker is assembled in the USA with U.S. Patent Nos.D641,786. Have your logo silkscreened and order now! Customize Your Product: Up to 4 lines of text - 15 characters per line max. Shipping Weight: 17 lbs. per 300 - FREE Shipping! Terri P, Angela D, and Rich P.
Thank you very much for all of your assistance in helping us choose the perfect promotional tool for our new business! We are happy with the highlighters, and we will definitely be ordering again at some point!